EQUERRY Horse Feeds, title sponsor of the Bolesworth International Horse Show has launched a search for a new sponsored rider. The chosen rider will get the chance to enjoy VIP hospitality at the show on Sunday, June 18 for the exciting Equerry Grand Prix, and will also win a year’s supply of Equerry Horse Feed for one horse or pony, an Equerry jacket, polo shirt and saddlecloth. Are you the next Scott Brash, Charlotte Dujardin or Kitty King – if so Equerry Horse Feeds wants to hear from you! 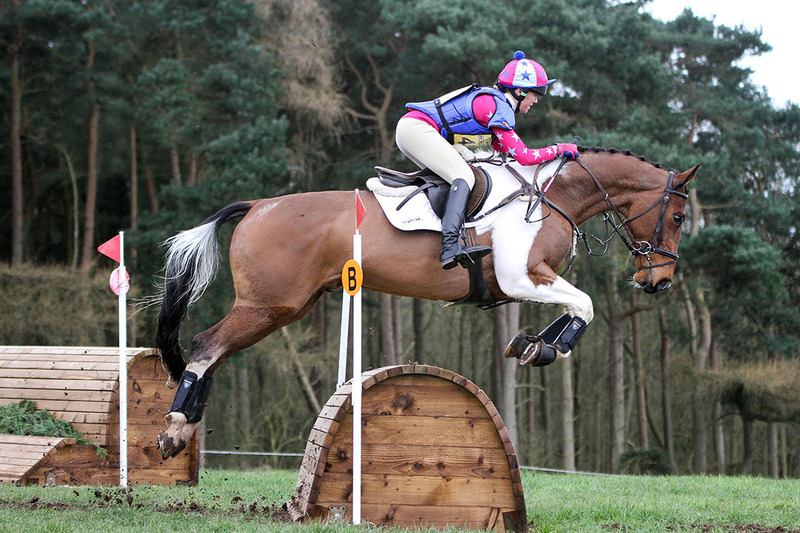 The Equerry range of top-quality horse feeds contains something for every horse or pony, whether feeding a leisure horse or a competition horse, there is a product to meet their nutritional requirements. The range provides everything from High Fibre Cubes for horses and ponies at rest or in very light work to Performance Cubes and Sports Mix for competition horses in hard work, as well as Conditioning Mash, Cool Cubes and Mix, and Horse & Pony Cubes and Mix. The winner will have a monthly ‘blog-spot’ on the Equerry Horse Feeds website so they can share their experiences and progress throughout the year. It can often be difficult to know which is the best diet to maintain an elderly horse in good condition all year round. It can very much depend on what type of work they are in. For example, will your veteran be hacked out once a week or will he be competing all season? Forage is vital in order to maintain a horse’s condition, as good quality hay/haylage/grass should form the largest part of their diet. Forage should be provided on an ad-lib basis so they never stand for long periods of time without fibre available to the hindgut. For very good-doers, we can slow their intake of forage by using trickle-nets and reduce the sugar content by soaking their hay. Weight loss is a common problem for older horses. If your veteran begins to lose weight on a diet that once kept him in ideal condition, it is important to rule out any underlying clinical conditions such as dental problems, Cushing’s or liver disease, along with appropriate worming and flu/tetanus boosters that your vet will carry out and advise you on. Age-related deterioration in elderly horse’s dental health is the most common cause of weight-loss. This can make chewing forage difficult for them and even when it may look like they are managing to chew it, they may not be sufficiently breaking their forage down. Teeth should be checked at least annually by a qualified vet or equine dentist. Ways that you can also monitor their dental health yourself, are to look out for them quidding or for larger quantities of longer fibre lengths in your veteran’s droppings. It may be that he is starting to lose the grinding surface on his teeth (i.e. they are becoming smooth). If this is the case, or if he has lost some molars, then a hay replacer, such as Equerry High Fibre Cubes, can be soaked to your horse’s desired consistency, in place of his normal forage. If your veteran is a very good-doer, then feeding a high fibre, low-calorie feed such as Equerry High Fibre Cubes is advisable. Equerry High Fibre Cubes are ‘Non-Heating’, cereal-grain-free, low in sugar and starch and will provide all his basic vitamins and minerals for rest/light work. If your horse is in medium to hard work, he will probably need more calories to support his condition and provide more energy. Equerry Veteran Mix could be the ideal choice for him. It contains good quality protein to help maintain muscle and promote topline, and the levels of oil and linseed included will promote condition and a shiny coat. 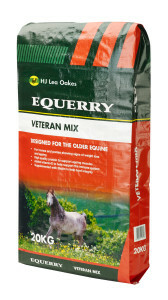 Equerry Veteran mix has the optimum level of vitamins and minerals, including antioxidants such as Vitamin E and Selenium to help maintain a healthy immune system. It also contains added yeast to support the hind-gut and promote digestive efficiency, which can decline with age. 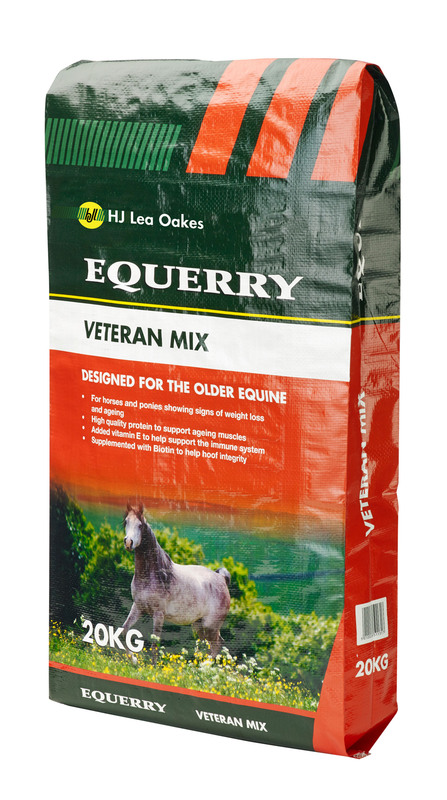 Equerry Veteran Mix is a complete feed and when fed at the recommended rate will provide your horse with the correct levels of vitamins, minerals and trace-elements. As a guide, a horse weighing 500kg would need 2.5-3kg Equerry Veteran Mix daily. This should be divided into at least 2 small meals, fed at least 4 hours apart.